at ‘PERSONAL STRUCTURES Open Borders', in Palazzo Mora, Venice. Showing in parallel with the 57th Venice Biennale: 13th May - 26th Nov 2017. More details here. Engaging with sonic visualisations through sited acoustic experimentation has become the primary focus of my art practice since 2005. Interactive installations created since 2010 have involved researching live sonic processes made visual through the use of the sound emission analyzer, Overtone Analyzer (Sygyt Software). 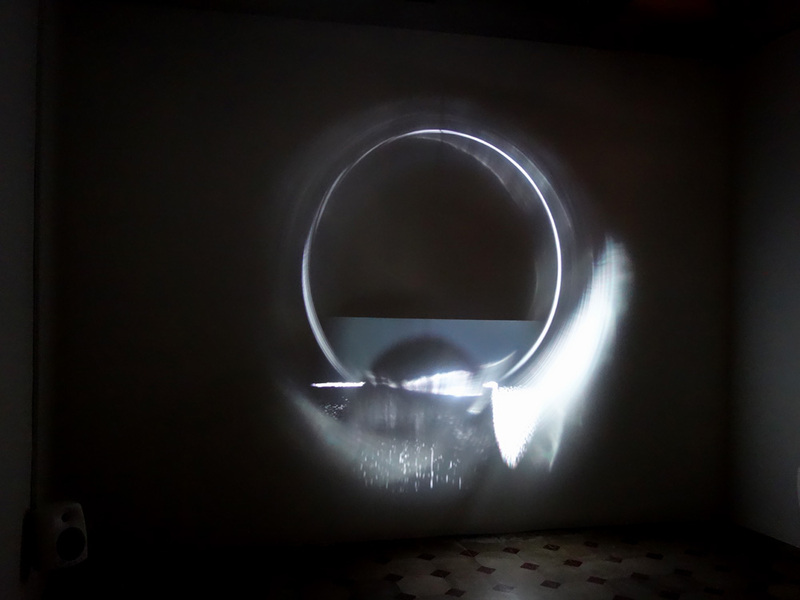 These installations include projections of sonic visualisations that respond to a variety of acoustic sources and microphones, picking up participative co-production of acoustic experimentation. Other sound frequency installations have responded to recordings of electro-acoustic phenomena: for example in 'Interplanetary Radio Frequencies' (above) two eras of radio waves received from different planetary magnetospheres have been focused on: 1979-80 and 2012-2017. Plasma waves detected within our own magnetosphere between 60-36,000 miles from Earth have been visualised and were received during the last six years. In 2016, the bow shock of Juno passing between the interplanetary solar wind environment and Jupiter's less dense magnetosphere has also been visualized, and is analogous to a sonic boom (Kurth, 2016) (see stills above). The earliest transmissions are from Voyager in 1980 and include many mechanical spacecraft sounds, setting up self-reflexive machinic resonances between the spacecraft structure and Saturn's planetary magnetosphere. All of these radio waves have been visualized through the sound emission analyzer, Overtone Analyzer, and then refracted into a circular projection. The NASA audio files were accessed through University of Iowa's SpaceAudio.org. Collectively initiating and co-curating exhibitions with others has become another important aspect of my working process as an artist. Encouraging longer set up times that allow for on-site experimentation and collaboration is of continuing interest. OD&M, LITC, Black Thrive, CRIN, Happy Finish and invited guest contributors. 5th - 10th March 2019. Tuesday - Sunday 12:00 - 17:00. APT + ONE, APT Gallery, 6 Creekside, Deptford, London SE8. 20th September - 14th October 2018. Private View: Friday 21st Sept 6 - 8 pm, coinciding with Deptford X Launch night. 6 Creekside, Deptford, London. 28th, 29th, 30th September 2018. PERMITTIVITY OF FREE SPACE, APT Gallery, 6 Creekside, Deptford, London SE8. 26th July - 5th August 2018. Private View + SLAM Last Fridays: Friday 27th July. 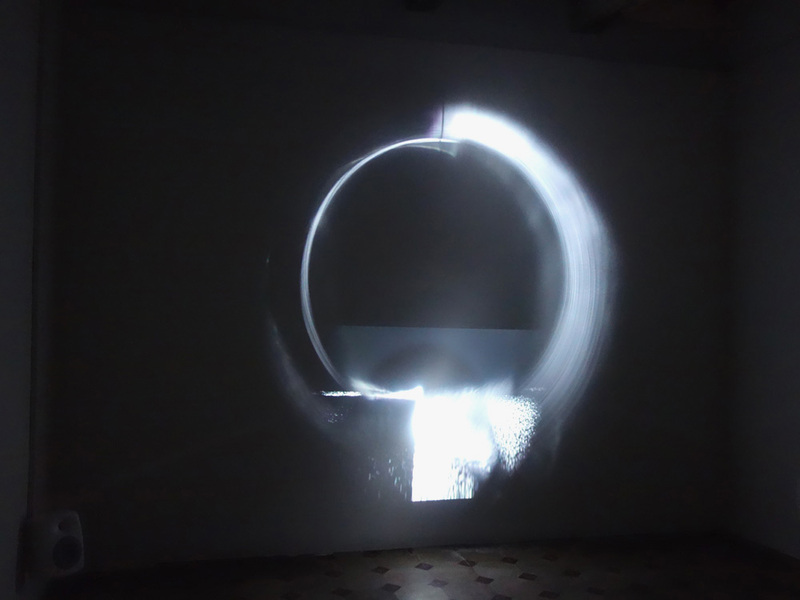 Curatorial concept co-developed by India Gabb, Paul Malone, Nicola Rae, Lucy Wheeler, Zoe Wheeler. See Permittivity of Free Space website. CUBE4x4x4, Augartenstrasse 68, Mannheim, Germany: 7th - 28th July 2018. Weblink. Blavatnik Building Level 5, Bankside, London: 6th - 11th March 2018. Chalk Farm Road, London NW1 8AH. 24th - 29th May 2018.
the Arts London, Merton Hall Road, London SW19: 26th April - 11th May 2018. Boiler House Level 4, Bankside, London. SE1 9TG: 26th January 2018. ELECTR"O"ACTIVE GRID, TATE EXCHANGE, 5th floor, Switch House, Tate Modern, London: 22nd Feb, 2017. A collaborative workshop between members of the Digital Maker Collective, CYLAND Media Art Lab (St Petersburg), Hill Mead Primary School (Brixton) and London Connected Learning Centre. DIGITAL MAKERS: Be an Interactive Artist! Taylor Digital Studio, Tate Britain: 12th April 2017. A TATE KIDS workshop for young people developed collaboratively with student and staff members of the Digital Maker Collective.